The moccasin was the universal footwear footwear of Native Americans. However, a few tribes went barefoot or wore sandals. They were usually made of soft dearskin, and the upper part was usually decorated with beads and porcupine quills. The soles were usually made of buffalo hide. Each tribe had its own style of making moccasins. This enabled Native American scouts to identify a tribe by footmarks on the ground. In 1804, the explorer, Meriwether Lewis, suggested the type of moccasins depended on the time of year: "The winter moccasins are of dressed buffalo-skin, the hair being worn inwards, and scaled with thick elk-skin parchment: those for summer are of deer or elk-skin, dressed without the hair, and with soles of elk-skin. On great occasions, or wherever they are in full dress, the young men drag after them the entire skin of a polecat fixed to the heel of the moccasins." 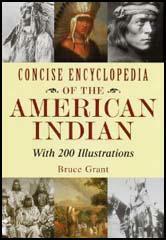 Bruce Grant, the author of the Concise Encyclopedia of the American Indian (1958) suggested that: "Moccasins are divided roughly into two general classes: those of the Plains Indians with hard rawhide soles sewed to a soft buckskin upper, and those of the Woodland Indians where the sole and upper consisted of one piece of thick soft leather, sewed together at the instep and heel. The latter sometimes had a small vamp on top to which the sole was sewed by puckering it." 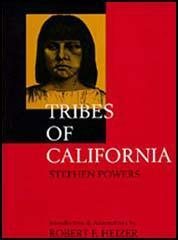 Stephen Powers argues in his book, Tribes of California (1876) that Californian tribes made their moccasins from Elk: "Most California Indians go now, and always have gone, barefoot; but some few were industrious enough to make for themselves moccasins of a very rude sort, more properly sandals. Their method of tanning was by means of brain-water. They dried the brains of deer and other animals, reduced it to powder, put the powder into water, and soaked the skins therein - a process which answered tolerably well. The graining was done with flints. Elk-hide, being very thick, made the best sandals." The winter moccasins are of dressed buffalo-skin, the hair being worn inwards, and scaled with thick elk-skin parchment: those for summer are of deer or elk-skin, dressed without the hair, and with soles of elk-skin. On great occasions, or wherever they are in full dress, the young men drag after them the entire skin of a polecat fixed to the heel of the moccasins. Most California Indians go now, and always have gone, barefoot; but some few were industrious enough to make for themselves moccasins of a very rude sort, more properly sandals. Their method of tanning was by means of brain-water. They dried the brains of deer and other animals, reduced it to powder, put the powder into water, and soaked the skins therein - a process which answered tolerably well. The graining was done with flints. Elk-hide, being very thick, made the best sandals.